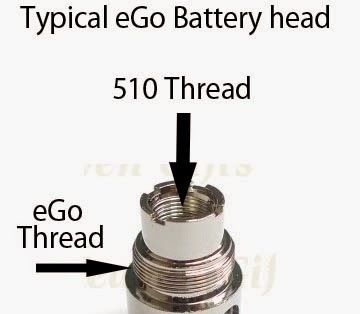 A lot of people talk about our products wether applied to their electronic cigarette products,here is "what is the different of eGo and 510 Thread" ,then you know it very clear. "So you can put any eGo or 510 device onto an eGo battery." Third,the same is NOT true for 510, in some cases you can screw on a eGo to a 510 only device, but it doesn't always work or is underpowered. There are 510 to eGo adapters to make to process easier but it is generally for Mods or devices that can handle an eGo cartomizer/clearomizer. Four,the original purpose of an eGo thread was to make everything "bigger" and the thread was also a bonus that let companies design "cones" that would hide the threading and make a 510 on an eGo battery look better on the larger eGo batteries. Have you have such a fashionable product?